A bit over a year ago Emirates introduced their new first class on the 777-300ER, which is the best first class product in the world, as far as I’m concerned. The bad news is that Emirates only has a total of nine 777-300ERs featuring their new first class, and they don’t have any immediate plans to reconfigure existing planes (either 777s or A380s) with these seats. 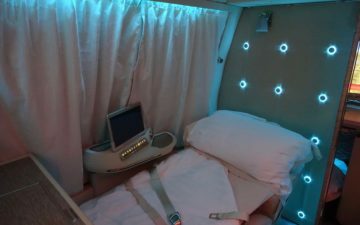 In my opinion that sort of makes the product a gimmick, since only a few percent of their fleet features these cabins. I wish we’d see Emirates operate these planes on some ultra long haul routes, where the benefits of these new cabins would be most valuable. However, I also get that this would limit even more the number of people who get to try the new first class. Getting this product on an hour-long flight is of course a treat, but at the same time these routes truly aren’t long enough to enjoy this amazing seat. Then again, I imagine Emirates is simply better utilizing aircraft here. A lot of their 777-300ERs currently sit on the ground in Dubai for hours between rotations to Europe, so I imagine they’re simply utilizing these planes when they’d otherwise be on the ground. 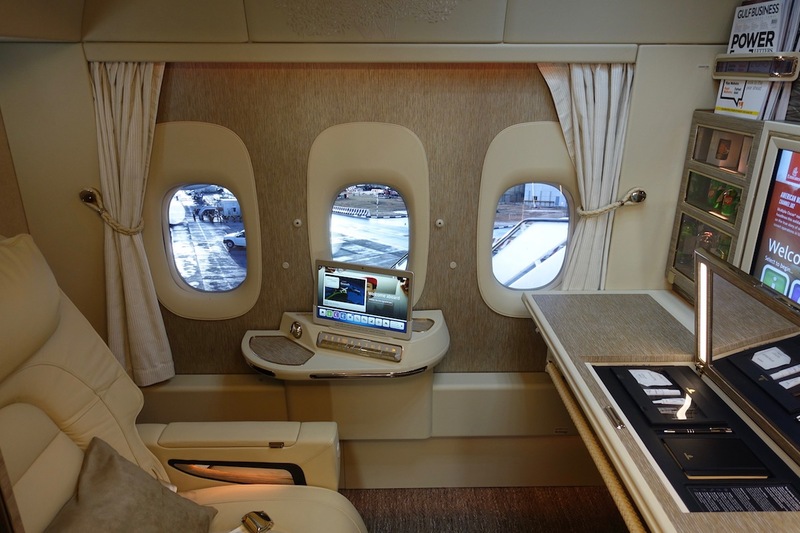 This week Emirates has announced yet another route that will feature their new first class. Emirates will begin offering their new first class between Dubai and Male as of June 1, 2019. If you want to redeem miles for Emirates’ new first class, your best bet is to still book within a couple of days of departure. The airline doesn’t release first class awards for their new product in advance, but they do as the departure date approaches. It seems like Emirates is able to add more new routes with their new first class simply by better utilizing their nine aircraft with these seats. The Maldives is an interesting choice for these new suites. Perhaps the only downside to the new first class suites is that there’s no way to sit or dine with a companion, and the Maldives is a destination where a lot of people are traveling with a companion. 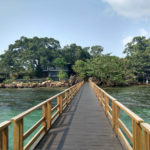 At the same time, the Maldives also has a lot of high end tourism, so I imagine there will be some people willing to shell out for this great product. I guess the only way to enjoy it is to eat caviar with binoculars in flat bed mode? EK 125/126 between DXB and VIE is also operated by the new B777/300ER. Emirates will be offering the new First class suite on the DXB-IAH (Houston) route during the Dubai runway closure period. It’s flying on all the odd numbered days (17, 19, 21, etc.) during this period. Doesn’t look like much award space though, but maybe closer in? I wouldn’t say better utilization just yet. There is a reason you don’t see 77W on a very short flight that often. It’s hard to fill a plane that big to make profit. I say EI is testing whether it can make profit or not. Second concern is will this truely be a full F experience or just the F lite. @Eskimo apart from the -200LR, which they only have a few of, the 777-300ER is the smallest aircraft in Emirates’ fleet. They routinely fill 77Ws on flights that short. In fact I believe even the A380s are operated on some routes between 1 and 2 hours long, so the question really isn’t whether they’ll be able to fill the plane on flights to Riyadh and Kuwait City – pretty much the highest-demand Gulf destinations they serve – but whether the flight makes a profit even with 100% loadfactor. It’s party time lesser royals and 777 pilots on leave, until the oil runs out. Since most of their flights are long haul, it may make sense with regards to increase cycles with flights that are low on hours to level out the maintenance schedule. Actually, I flew EK404 to Singapore 2 weeks ago and it featured the product (I was in coach but clearly saw that the Business and First had the new product). Also, if I am not mistaken, either ADL or MEL have the product on a 772LR. I don’t get the Stansted route..? I was also thinking the same about the Maldives with most people travelling with a companion. Oh well, better some than none. I actually think this type of product is great for longhaul flights (7-11 hours). For me, I’d much rather be on an Emirates A380 for ultra-longhauls where I can go have a shower or go to the bar area to walk/socialize/pass the time.